We are pleased to add to a new line of products which Extend T1’s flawlessly over Fiber Optic infrastructure. The first product family will extend a single T1 over fiber. The second product group extends mulitple T1’s — up to 4 — over fiber optic cable. Data Connect has T1 extenders that will extend a T1 demark or SmartJack. Whether your infrastructure is Copper or Fiber-optic, whether you are extending a single T1 or multiple T1’s, we have the solution. The QuadFiber-T T1 Extender has a fixed configuration on 4T1/E1 interfaces and a single optical uplink port. 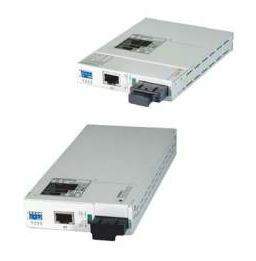 The QuadFiber-T unit can be managed through serial console as well as optional SNMP. The SNMP can be activated by installing an SNMP daughter board on the QuadFiber-T T1 Extender. The DCE/QuadFiber-T/E is a 1U half 19″ stand-alone or rack mountable T1/E1 Extender featuring a point-to-point multiplexer for 4*E1 or 4*T1 (selectable) transmissions over a single fiber optic link. Its half-rack format makes it ideal for low cost multiplexing applications that require up to 4-channel. 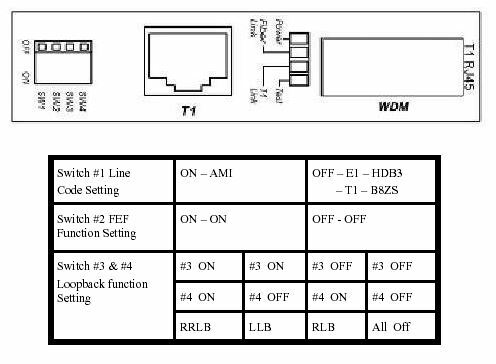 All channels provide completely transparent transmission of E1 or T1 regardless of frame mode, clock source or timeslot assignment. Available in eit her AC or DC models, the AC supplies operate from 100~240VAC while DC supplies operate from 18~72VDC. A wide range of transceiver selection provides fiber connection with SC, FC or ST type connectors in multimode or single mode and at distance from 2 to 120km as well as BiDi (single fiber) at distances of 20, 40, 60, or 80km. Additional options include “Order Wire” phone connection (FXS port) and a SNMP management. Notice: Effective 6/20/2017 we received notice from Patton Electronics that orders can no longer be filled for the Patton 2115 T1 Extenders. We encourage customers to use the DCE/Copper-T T1 E1 Extenders as suitable replacements. The T-Extender is a T1 demarc extension device or T1 repeater. This simple unit allows T1 DSUs, channel banks, routers, and PBXs to be located up to 5000 feet from the telephone company’s demarc. 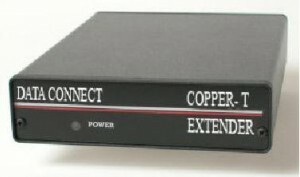 The DCB T-Extender is powered by a small wall-mount transformer or optional DC power supply, and is used for connections between T-1 equipment like PBXs, demarcs, T-1 multiplexers, T-1 line drivers, T-1 local multiplexers or any other T-1 equipment requiring long customer owned cable runs. 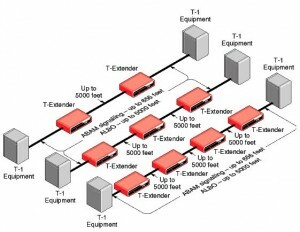 T-Extenders can be used to connect this equipment across a campus, between floors of a high-rise office building or between office buildings with underground cable connections. RJ-45 adapter or screw terminals may be used in either or both ports. Unit supplied with two screw terminals and one RJ-45 adapter. The T-Extender is a 4-wire T-1 repeater for use on customer owned lines. The T-Extender is used to extend in-house T-1 lines in campus and high-rise environments. Note: This product is NOT intended for 10BaseT or Ethernet. T1 modulation is designed for use with twisted pair solid wire phone cables. The T-extender does NOT extend ethernet connections… only T1 connections. For Ethernet Extenders go here. The T-Extender is powered by a small wall-mount transformer, and is used for connections between T-1 equipment such as PBXs, T-1 multiplexers, T-1 line drivers, T-1 local multiplexers or any other T-1 equipment requiring long customer owned cable runs. T-Extenders can be used to connect this equipment across a campus, between floors of a high-rise office building or between office buildings with underground cable connections. The T-Extenders are best used in pairs. If you have a T1 CSU that is limited to 655 feet, connected to a device limited to 655 feet, and you put the T-Extender at one end, the T-Extender will drive the extra distance. However, the far end device will still be limited to 655 feet and will not likely have sufficient “drive” to reach the far end. The T1 transmitted signal is the issue addressed by the T-Extender, so in this case, the line would be error-prone or possibly only work in one direction. NOTE : Cable should be Category 3, 2 twisted pair, shielded. DO NOT use Category 5 cable. Proper operation cannot be guaranteed if Category 5 cable is used. Using CAT5 or CAT6, the transmit and receive pairs are not shielded from each other, making Near End Cross Talk likely. If you can use 2 separate cables of CAT5 or CAT6, putting the TX pair in one and the RX pair in another, that would help greatly. The key, is proper sheilding of the pairs. Patton Electronics’ CopperLink product line been enormously successful over the past 15 years — and Patton keeps innovating for faster speeds over longer distances with more features. There are lots of CopperLink models featured below. Some models below are end-of-life, others are new and just released. We can cut through any confusion and help you decide which current product is the best most cost effective solution for your specific distance and bandwidth requirements. And if you’re in a hurry, we stock most current models and take orders right over the phone. 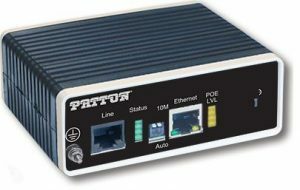 Ethernet extension allows users to expand their Ethernet connections beyond the 328-foot (100-meter) Ethernet distance limitations. Ethernet extenders can establish long-range, high-speed data communication links between geographically separated LANs or LAN devices. 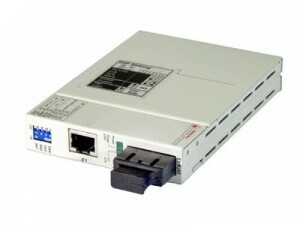 Ethernet extenders are often employed to connect workgroups on different floors within a building. Please call us. 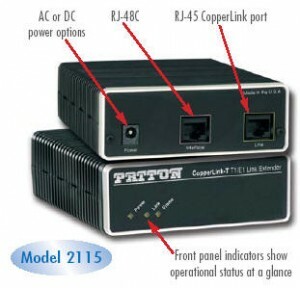 We are Patton’s leading distributor of CopperLink products. We can help you. How Do I Extend a T1 Demarc? What do you do in those situations where a T1 demarc, or the T1 demarcation point, is located too far away from the T1 equipment it needs to connect to? If the distance between the demarc and the T1 equipment is beyond the standard length of 655 feet — then you need use T1 Repeaters, or T1 Extenders to effectively move or extend the T1 demarc. We’d be happy to evaluate your application and provide the best cost-effective solution. The 2-Pack kit of the DCE Fiber-T T1 Extender units. Now you can extend a line / smart-jack to your T1 equipment over simple multimode fiber. Put one DCE Fiber T1 Extender at each end of your fiber run, and you are in business. These will extend a T1 line using multimode fiber up to 2Km (1.3mi) distance. Please note you may need to install a T-1 cross over cable if the remote device is DTE interface. Our techs can help you with any installation questions you may have while in the field.